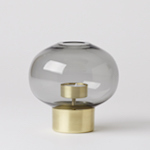 Mjölk is the best new design shop of 2009! 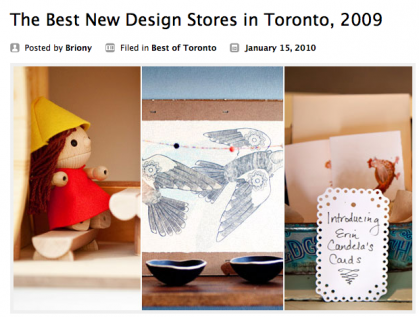 We were very excited to find out we are the best new design shop of 2009 according to Blog TO! After only being open a month and having a venue to meet great people and chat about design it’s really been a dream come true for us. Drop by and say hej! 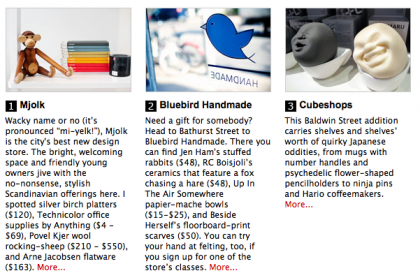 You can check out the article here and see all the other amazing entries! Including two other new stores in the Junction.